Thinking About Getting a New Jersey Will, Living Will or Power of Attorney? Then Find Out from This Episode What You Need to Know to Get Started! Many Americans do not have a will, even though they may be married or even have children. It is on their “To Do” list, but never seems to get done, most times because they either do not know where to start or do not want to think about their own deaths. But it is one of the key things that you should do as part of your financial plan. I can’t help you get over your not wanting to plan for your own death, but I can give you some tips on how to get started. 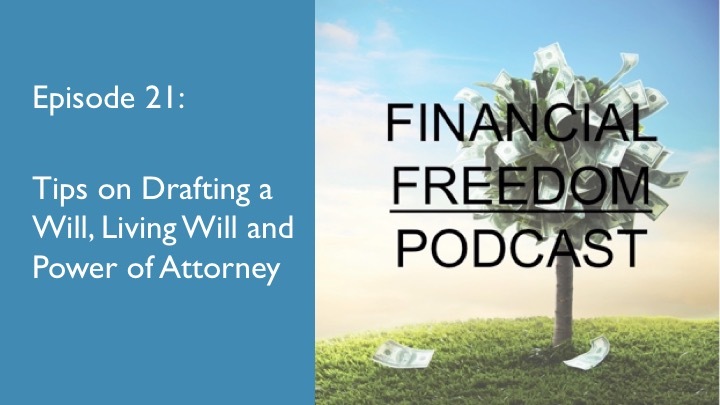 So in this episode I am going to go over the decisions most people need to make and the information they need to gather to start the process, whether you are doing it yourself or hiring a lawyer.